The Earth needs help. Many scientists and also business people propose actions which are intended to save the world’s life such as minimizing the usage of fuel and petroleum, reducing the usage of electricity, planting one million trees, etc. But those acts might not be enough considering that the damage that humans have already inflicted. The aquaculture and hydroponics scientists have found a new method which can be applied to overcome this global damage. 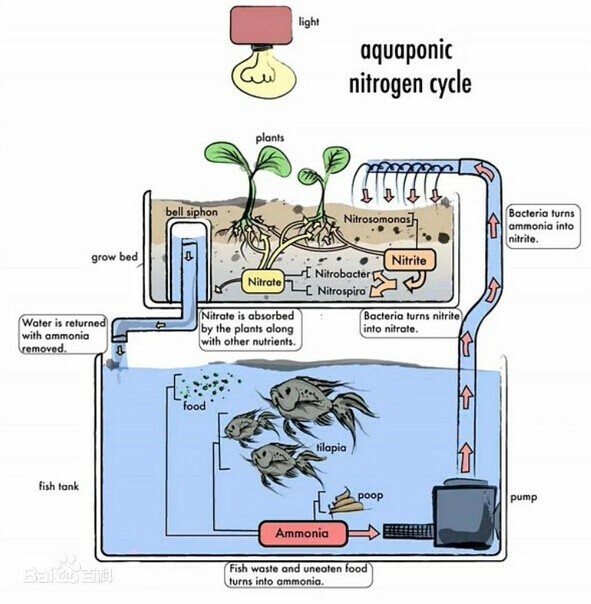 Their new method is aquaponics, it is a type of farming method that combines water recirculation and aquaculture with hydroponic plant production (also known as growing plants without soil). You can grow the fish and plants by placing the fish in a large water tank. You then drain the water from the tank into a gravel bed. Positive bacteria would break down the ammonia waste of the fish to produce nitrogen, which helps the growth of the plants. Then, the filtered water travels to the growing bed and later returned to the fish tank. Some advantages that this farming method has, is that it does not require the use of soil. So you will benefit from this farming method even on your non-productive land. Besides that, you do not need to worry about weeds growing on your land, or the need of spreading manure for fertilization. This farming method only requires that you to shed the traditional farming tools when you decide to switch from traditional farming methods to aquaponics. That means you can save money because you no longer need the traditional tools. After we talk about the benefits of growing in aquaponics for the farming method side, we can see further advantages for saving the world’s inhabitants, including: Using the water efficiently to grow two crops, which are fish and plants. There is no environmental impact, no nutrient rich waste water discharge, the fish food itself is used to grow the fish and plants. The two crops which come from one input. In doing this method, we can neither use the pesticides nor the herbicides, since it would affect the fish and the plants cannot be treated by any harmful residues as well. Because of the advantages and the characteristics of the system that we mentioned above, we can infer that from the simple action of growing in an aquaponic system we would have a huge advantage and would more easily save the world’s population. Joseph Lee is an expert in aquaponics and loves to write about world changing technologies in gardening and agriculture. He plays a role in the worldwide aquaponics community as an author.